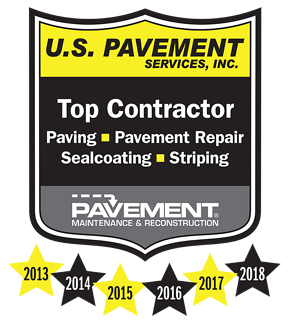 For a record six consecutive years, U.S. Pavement Services has been selected as a 2018 Top Contractor by Pavement Maintenance and Reconstruction Magazine. 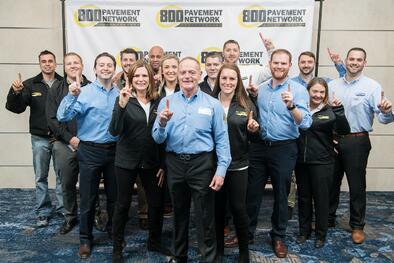 Each year Pavement Magazine releases an exclusive list of top-performing contractors within the Paving, Sealcoating, Striping, and Pavement Repair categories. U.S. Pavement was chosen as a top contractor in all four categories. Top contractors are chosen based on 2017 gross sales volume, a breakdown of the work that generated those sales, and third-party verification of the sales total. This award directly reflects the hard work our entire team puts in each day to deliver any project at all levels of complexity. Pavement Magazine is the leading magazine serving contractors in the paving and pavement maintenance industry. The publication is distributed to 18,500 contractors in the paving, sealcoating, pavement marking and repair segments. Pavement is part of the AC Business Media Construction Network, which reaches more than 240,000+ construction professionals.